Dimensions : W 45 x H 45 cm - Cable: L 250 cm max. Both original and poetic, the Setareh pendants are sculptural works imagined by the young Sicilian architect Francesco Librizzi. 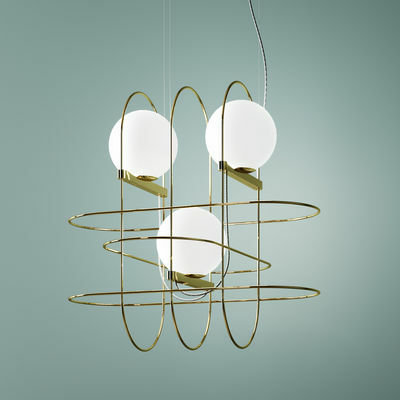 They consist of illuminated glass spheres balancing on slim metal perches. Its flat lampshades create floating volumes. 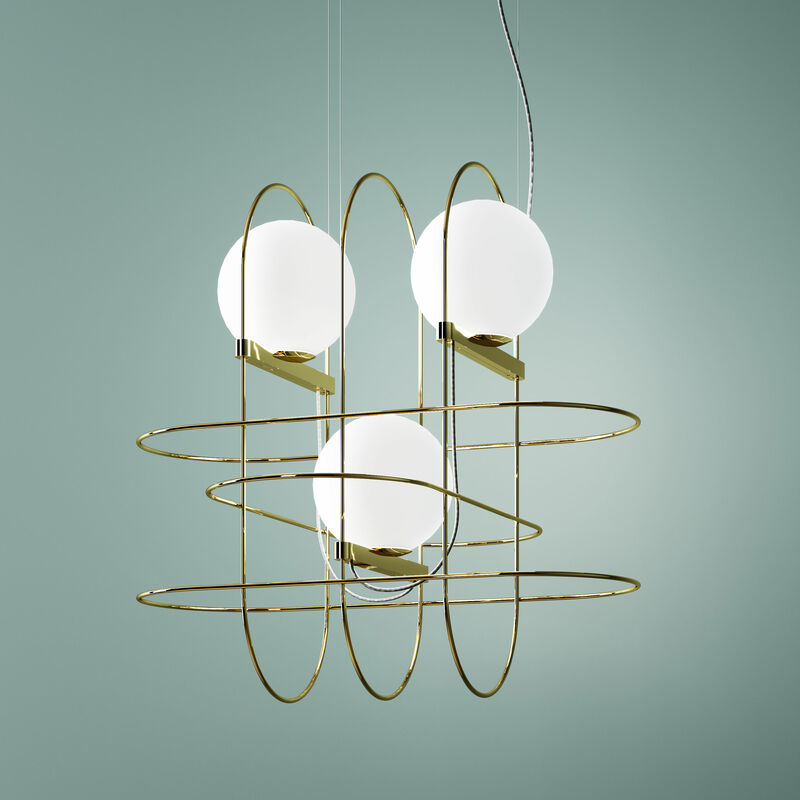 In Setareh, the designer Francesco Librizzi has had fun disassembling an archetypal lamp. All of the lamp’s traditional components are stripped bare and transformed into decorative elements. Setareh is an architectural construction, assembled from a confusion of basic geometric shapes. The lamp’s diffuser, body and lampshade communicate in a rhythmical ensemble that plays with mass and circular trajectories. Its design is balanced by a gravitational dynamic. Setareh is a masterful, suggestive, high-impact object, both when switched on and off.